Harthacanute (Canute the Hardy, sometimes Hardicanute, Hardecanute; Danish: Hardeknud) (1018 – 8 June 1042) was King of Denmark from 1035 to 1042 and England from 1040 to 1042. He was the only son of Canute the Great and Emma of Normandy. He followed his father as King of Denmark in 1035, becoming Canute III. Fighting with Magnus I of Norway stopped him from sailing to England to take up his throne. His older, illegitimate half-brother, Harold Harefoot, became regent of England. Harold took the English crown for himself in 1037. After Harthacanute had settled the situation in Scandinavia he prepared an invasion of England to take over his kingdom. Harold died, and Harthacanute was able to take back his throne peacefully. Harthacanute was a harsh and unpopular ruler. To pay for his ships, he greatly increased the rate of taxation. In 1041, the people of Worcester killed two of Harthacanute's men who had been collecting the tax. Harthacanute burned the city. The story of Lady Godiva riding naked through the streets of Coventry to persuade the local earl to lower taxes, may come from the reign of Harthacanute. 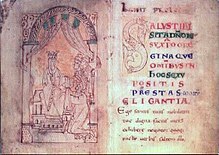 The Anglo-Saxon Chronicle says of him: "He never accomplished anything kingly for as long as he ruled". In 1041, Harthacanute asked his half-brother Edward the Confessor (his mother Emma's son by Ethelred the Unready) back from exile in Normandy to become a member of his household, and probably made Edward his heir. Harthacanute was unmarried and had no children. On 8 June 1042, he died at Lambeth— he "died as he stood at his drink, and he suddenly fell to the earth". He was buried at Winchester Cathedral, Hampshire. Edward became the new king.